Crockett & Jones was founded in 1879 in Northampton, where they specialise in the manufacture of high quality Goodyear-welted footwear. 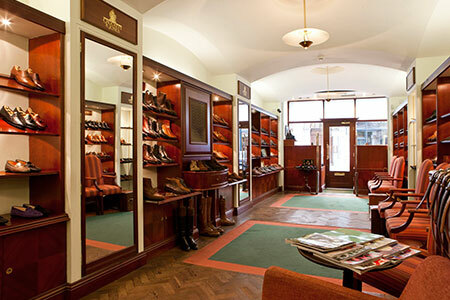 69 Jermyn street is the original Crockett & Jones shop, first opening its doors in 1997. The dark mahogany wood and soft lighting gives this shop a ‘Gentleman’s club’ feeling.